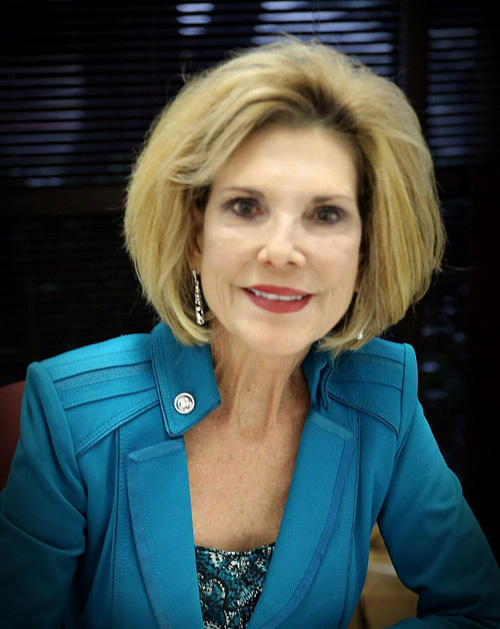 Sandie Freed: "What To Do When the Accuser Attempts to Frustrate God's Plans"
The enemy is like a roaring lion...looking for those he can devour. And God wants to make us keen to the enemy's plans so we know them in advance and can walk right through them. Even if that means being in the Lions' den, which you'll read about in Sandie Freed's article. We are posting a couple articles today...this one from Sandie Freed and another by Chuck Pierce and his daughter Rebekah Faubion. In these separate articles, you'll find out how to overcome the enemy and be victorious on the other side. I highly recommend that you read both Sandie's and Chuck's words we posted today! "What To Do When the Accuser Attempts to Frustrate God's Plans"
Have you ever had such a disturbing dream that when you awoke you were so relieved it was only a dream? And yet, knowing that many times dreams are from God, you are sure there was a purpose to the dream? I'll bet you have had dreams that are warning dreams, directional dreams and dreams that are for prayer, along with many other types of dreams that affect your divine destiny. Recently, I had one of those dreams – a dream warning me of an enemy that attempts to steal destiny. Let's go to the story of Daniel being thrown in the Lions' Den (Daniel 6). To a degree, I now had empathy of the terror Daniel must have felt while in the lions' den! Except the lions in my dream were not literal, the lions were actual people who were falsely accusing me! Think of how a lion hunts down its prey and then lunges toward it to make the kill. That is the type of horror I was feeling from my accusers. They were hungry to hurt, to destroy and yes, even devour! The accusations were cruel, untrue and downright lies! Yet, as every false accusation was hurled against me, it hurt my heart – over and over again. The lies came so swiftly, like darts thrown at a dart board, to hit the mark...and I was the target! "Keep believing in what God has declared over your life. Believe that He is watching over His words concerning you and that He will bring those things to pass." I heard the voice of the Lord say to me in the dream, "Sandie, this is all coming from the accuser of the Brethren who has come to frustrate My plans for your life. Don't focus on the people hurting your heart; focus on the true enemy, the accuser. The accuser is already defeated, but he will attempt to continue to discredit you and wear you out. Be aware that as you continue to build MY Kingdom, the accuser will attempt to stop your forward progression. Know I am with you and My gracious hand is upon you." Now, I have learned over the years how to separate the person from the spirit. Therefore, I have been able to continue to walk in love – even through the pain of false accusations. However, I must confess, at times it was not easy at all! Yet, precious Believers, even though my dream involved actual people (who I knew), I am confident that it is the plan of the enemy to falsely accuse us. He often does this through people. But let's remember that people aren't our enemy, the accuser is! The enemy wants to frustrate God's plans for our lives and he will find people to work through to accomplish this. Still, our enemy is satan, the accuser, and it is he that we must defeat! Please keep this in mind as you continue to read. The word "accuse" means to give a false testimony. When dealing with the accuser, we need to realize that the enemy speaks lies directly to us and tells us things totally opposite of what God would say. And yes, he also does this through others, unfortunately. Lies and falsehoods about us become fiery darts into our minds and hearts. Apostle Paul wrote that those who are in Christ will face "all the fiery darts of the wicked" (Eph. 6:16 KJV). The Lord knows how to extinguish these fiery darts, but He does not say we can always avoid them! We will have opposition from the accuser, and we will be opposed by satan. God has promised, however, to empower us to overcome him and defeat his demonic strategies against us. 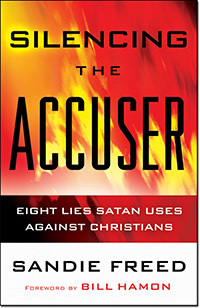 Many of us are familiar with several distinct passages in the Bible that expose the accuser. In Job 1:6, we read that satan, the accuser, came to present himself to the Lord. God considered Job righteous, but satan falsely accused Job, suggesting that if the Lord removed His hand from him then Job would curse God to His face! Well, I'm sure you know the story. God was going to prove that Job would remain righteous – no matter what! Job lost everything important to him, and even his friends began to falsely accuse him! Yet, though the accuser attacked from all sides, Job remained righteous in the eyes of God. I believe we can all relate to Job to a certain degree. For us today, when the accuser strikes hard we must continue to stand strong while fully trusting the Lord. For Job, everything was restored to him several times over! We can trust God that even in the midst of a fiery trial we are being purified and prepared for greater things. The accuser, the one who attempts to frustrate the plans of God for our lives, devised an evil plan of murder. 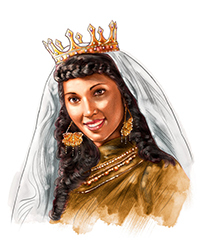 Queen Esther faced the most difficult challenge in her life. She would face death if necessary to thwart the plans of her accuser. Thank God for her! She faced the accuser head on and was positioned governmentally to reverse the death decrees upon her and her people! Believers, you are also being positioned to move in great authority against your accuser! No matter how the enemy has come to frustrate God's plans for your life, know that Christ has already paid the price for you to defeat the devil! You are seated with Christ in heavenly places! It's time to lift your head and declare, "VICTORY!" Don't allow the false words spoken against you to hinder you any longer. Know your identity in Christ and begin to walk in it! Nehemiah was another godly leader who was targeted by the accuser. And yes, once again, the enemy came in the form of people! When commissioned to rebuild the walls of Jerusalem, he met the accuser head on also. It wasn't just one accuser, there were several! Believer, the accuser (satan himself), doesn't work alone. He appoints other demons (who influence other people) to enforce his evil seductions. Many times, when the enemy strikes, it seems as if the hordes of Hell are loosed against us – and they are! "Horde" is a Hebrew word which means "army." When Job was attacked, he didn't have a doctrine or theology to fall back on. No! But he did have a relationship with God! And so, it was with Nehemiah. "We can trust God that even in the midst of a fiery trial we are being purified and prepared for greater things." Believer, have you ever been frustrated? I have been! When you are trying to fulfill destiny in every possible way and the enemy comes and causes postponements, hurts, false accusations and lies...well, let's just say this: it's all in an attempt to get you to come down from the wall! Nehemiah prayed and the people got more focused to build. They arose and became warriors! Don't be swayed by the enemy's lies. The enemy came against Nehemiah and the workers, attempting to put them to shame. They falsely declared that they were not qualified, not strong enough, and were ill-equipped to rebuild the wall. Plus, they falsely accused God – declaring He was not able to empower them and protect them! Dear ones, don't let the enemy stop you! Keep believing in what God has declared over your life. Believe that He is watching over His words concerning you and that He will bring those things to pass. The accuser is a liar and he is bent on falsely accusing you...but God! • You should be ashamed of yourself. • You are a failure. • You will never measure up. • God doesn't really love you! • You'll never find a mate. • You will never experience true fulfillment. God's Gracious Hand is Upon You! Believer, just as God's gracious hand was upon Nehemiah to rebuild the walls, the gracious hand of God is also upon you! And just as you continue to accomplish all that God has commissioned you to do and build, His gracious hand will empower you just as it did for others listed in Scripture, especially Nehemiah. Neh. 2:18 says, "I also told them about the gracious hand of my God on me and what the king had said to me. They replied, 'Let us start rebuilding'" So they began this good work." Saints, it's time for you to receive the power of God and His divine direction. He promises to oversee His Word concerning you!